Whether it was a one-toddler action against cigarettes at the age of three—or the idea he's been promoting for more than 30 years that green, ethical businesses can be more profitable—Shel Horowitz has been ahead of the curve…a thought-leader and promoter of other visionaries who look at how to move the entire planet forward. Now his challenge to the business world goes far beyond going green…to creating the world we all want to live in, where sufficiency has replaced hunger and poverty…peace has replaced war and violence…and the planet is in balance, with a strong long-term future. A TEDx Talker and accomplished international speaker, Shel has spoken on stages from Davos, Switzerland and Istanbul, Turkey to Honolulu and Kauai, Hawaii. He has done mainstage, side-stage, breakout, and panel presentations for numerous business, academic, and environmental organizations, including ForumDavos (Switzerland), Bosphorus Conferences (Turkey), Green America/Global Exchange Green Festival, GoGreenExpo, SolarFest, PRSA (Public Relations Society of America) International Conference, ASJA (American Society of Journalists and Authors) National Conference, Book Expo America, American Marketing Association/CT, ABC (Association for Business Communication) International Conference, Noteworthy USA, Sustainable Foods Summit, Gulf Coast Green, Scaling Change, Shift Network's Spring of Sustainability, Bioneers-By-the-Bay/Connecting for Change, Smith College, University of Vermont, and many others. Ordinary people can change the world. Rosa Parks was a seamstress. Lech Walesa was a shipyard electrician. Many other examples. Visually bold—excitement in the slides! 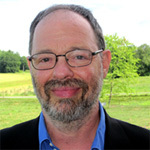 Find out more about Shel Horowitz, GreenProfitabilityExpert at http://goingbeyondsustainability.com/social-change-business-profitability-speaking-and-presentation/.